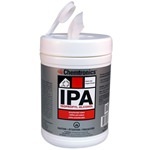 IPA Presaturated Wipes remove solder paste, inks and other contaminants. These highly effective cleaning wipes are ideal for all general cleaning applications. IPA Presaturated Wipes are well suited for touch-up cleaning of automatic printer stencils and cleaning of semi-automatic printer stencils during and at the end of production runs. 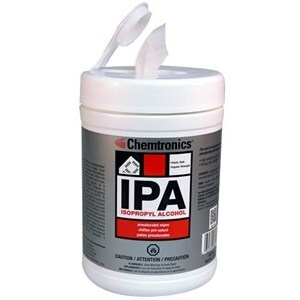 IPA Presaturated Wipes contain ultra-pure Electronics Grade IPA. Presaturated Wipes are well suited for touch-up cleaning of automatic printer stencils and cleaning of semi-automatic printer stencils during and at the end of production runs.